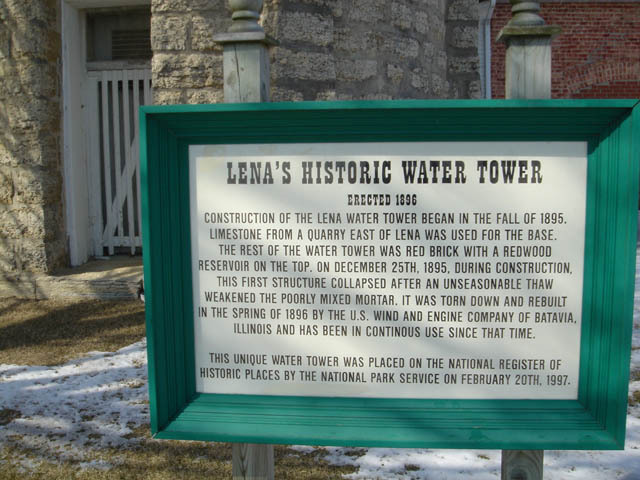 Located at intersection of Schuyler st and W railroad St. Lena IL Coordinates Lat N 42:22':808" Lon W 89:49':688"
CONSTRUCTION OF THE LENA WATER TOWER BEGAN IN THE FALL OF 1895. 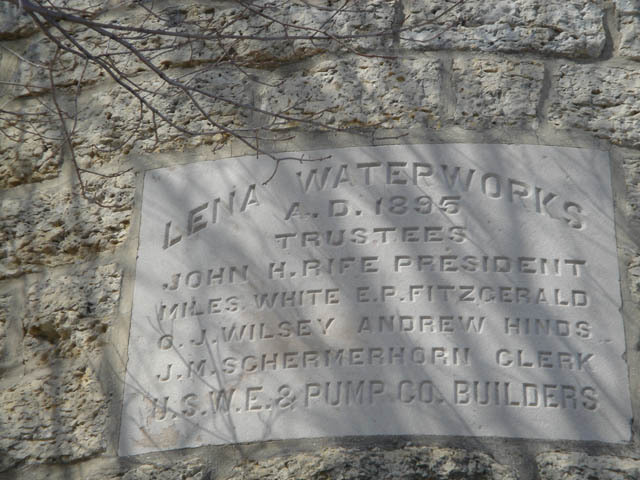 LIMESTONE FROM A QUARRY EAST OF LENA WAS USED FOR THE BASE. 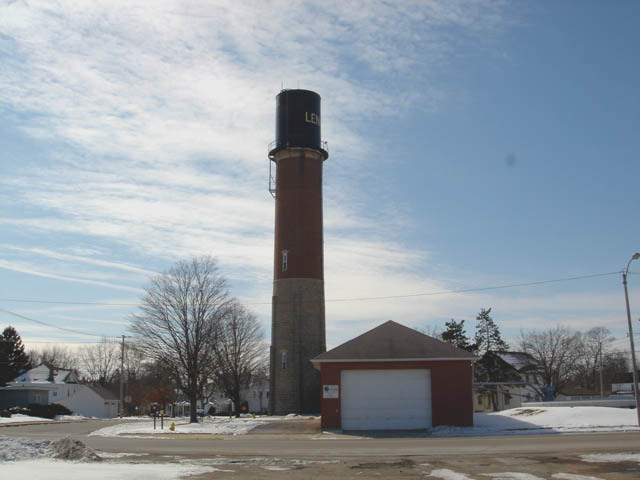 ILLINOIS AND HAS BEEN IN CONTINOUS USE SINCE THAT TIME. HISTORIC PLACES BY THE NATIONAL PARK SERVICE ON FEBRUARY 20TH, 1997.